I like some acoustic versions of songs and this piece is one of them. For some reason it’s been playing on my computer for the past week. I love the way that the words to the song match the melody–even to the point that the melody tells a story that the lyrics mirror. I looked up the lyrics and Mali seems to be describing the process of pushing through obstacles as you try to make a tangible difference in the world. I admit, that his playing is not all that great but his unique voice is so perfect for this particular version. You can feel that he’s passionate about what he’s singing and makes the declaration “you can’t shoot me down” you can tell that he believes it. One thing I really like about this rendition is that you can feel the emotion through the song. These days, that’s not really typical. I can’t speak to the authenticity of this article but the concept was certainly interesting. Let it be noted that in the pictures published, I didn’t notice any men. I wonder if this choice will affect this woman’s chances for getting married in the future. While I can’t imagine inviting my family and friends to a ceremony for myself, I can see where she was coming from. A wedding is something many women look forward to for decades and she didn’t want to not have the experience because of her lack of a significant other. I wonder if we’ll see these type of ceremonies grow in popularity in the coming years? Maybe it’s just me, but I can’t imagine spending thousands of dollars on a wedding without having a groom. But it looks like it worked for her. 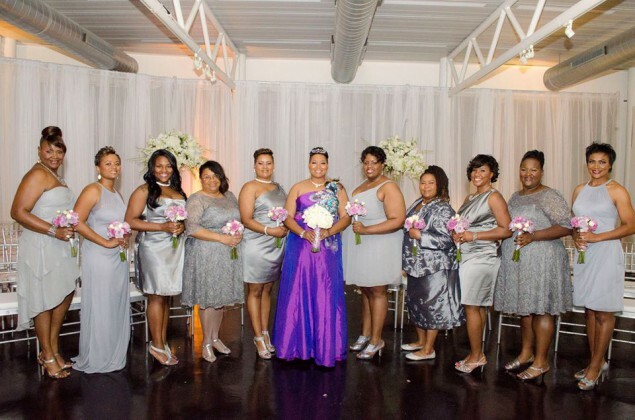 A Houston woman celebrated her 40th birthday by giving herself the lavish wedding she had always dreamed of — complete with a walk down the aisle, vows, and a first dance. Yes, just herself. No husband in sight. It was a dream wedding. Complete with a fabulous candlelit ceremony and heartfelt vows to forgive, honor and love… herself. Yes, Yasmin Eleby promised herself that if she hadn’t found a mate by the time she was 40, she would marry herself, and she kept her promise. What better way to start the year than with an act of self love? Today is the day where social media is inundated with quotes and pictures of Martin Luther King Jr. His words, his ideals, his dreams, and his sermons had a huge influence on a generation and a people who were struggling to be viewed as equals in a country that had previously enslaved them. He spoke against injustice and painted a picture of a world where everyone is equal and we all have access to the same opportunities. There has been some progress towards that goal. Signs that declare public places are for “whites only.” have gone. There are laws that make it illegal to discriminate against someone based on the color of their skin. There’s definitely still a long way to go. I live in a city that has one of the biggest MLK parades/marches (a marade) in the country. Thousands of people attend and there’s a program at the end with music and speeches and remarks. Typically this also includes some cousin or other relative of MLK who has been flown in to make some remarks about the specialness of this day. The news stations are there and try their best to get all the shots of black people standing next to white people in solidarity and unity for a common purpose. The sad truth is that we still live in a very racially motivated society in the States. Other countries have other systems that make one group of people superior to another group. Discrimination and prejudice happens everywhere–not just in America. I think that these gestures and services and speeches and sermons are great, but what are we doing the other 364 days of the world to advocate for people who can’t do it themselves? MLK did a lot for the movement. He dedicated thousands of hours of time and money to the advancement of a cause he felt was worth fighting for. However, I was reading not too long ago that he also died without a will and his family was in dire financial straits due to the fact that he had given most of his money to the cause. His wife left a promising singing career and also devoted most of her life to the work. His children also became vocal about continuing his legacy but drew enormous salaries from the center names in his honor and mishandled funds that almost bankrupted it. They sued each other for exorbitant amounts of money and publicly disagreed with each other on the best way to preserve their father’s memory. I say all this to say that there’s a need for all of us to recognize that the only way progress can happen is that we address problems on a systemic level. I ran into this article through Facebook and thought it was an interesting read. The definition of the “Z” man appeared to be something that most women would appreciate. People who have very strong personalities tend to have a harder time when their partners are equally stubborn. When both people can’t compromise it leads to a lot of challenges. The thing about this article is that it outlined qualities that are important in successful relationships across the board. My favorite one was number 8 “moving at the same speed.” I love that idea because there’s so much discussion about wanting to marry up. The chance to skip a socio-economic class and to be in a different income bracket. There’s nothing wrong with marrying up but I think that there’s something to be said for marrying across (as equals). There’s less of a power struggle and ideally the situation would encourage empathy from both partners. It was a thought provoking article.